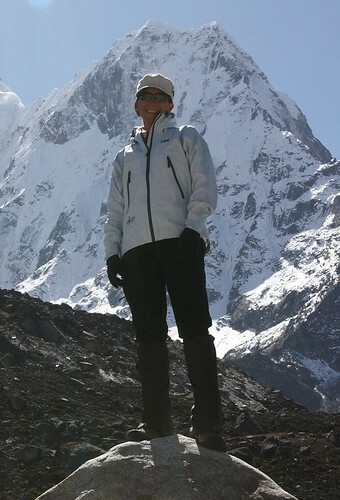 Deana Zabaldo has hands-on experience in the Himalayas and a passion for its culture and peoples. As a Peace Corps Volunteer in Nepal, she learned about the complexities of international development, regional politics, caste hierarchy, economic disparity, and modernization—all while hiking through the world’s most spectacular mountains. This experience continues to shape her today: she is now an expert trekking guide and a catalyst for innovation and change through fundraising, volunteering, and sustainable development. Deana enjoys sharing her love of Nepal and Bhutan while supporting clients through safe, challenging, and inspiring adventures. Whether drinking yak milk in nomad tents or chatting with street vendors, she is able to create an authentic experience for clients and bring the culture alive through rapport with landless farmers, wealthy factory owners, sari-clad women, and hermit monks. She has explored from rice paddies to mountaintop temples, including Tibet, Mongolia, Laos, Burma, and India. Moved by the spiritual and cultural vibrancy of the region, she’s a gifted storyteller about Tantric gods, Bhutanese refugees, the realities of Shangri-La, and secret explorations. Her expertise in the area and her commitment to client service led her to win the 2013 World Guide Awards. 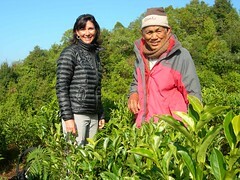 While calling San Francisco home, Deana also spends time each year in the Himalayas, guiding treks and supporting charitable projects, including a children’s home and organic coffee and nut farming. She has an abiding dedication to make a positive impact in the world, and her experience in the US also includes coaching for mission-driven leaders, conducting education and training for Lucent Technologies, directing programs for Intrax Cultural Exchange, and teaching university psychology courses. She holds a Master’s in Behavioral Psychology and is a certified Wilderness First Responder.